BEIRUT — A missile attack by the Islamic State group in eastern Syria killed at least one Kurdish fighter and wounded two British soldiers embedded with them, according to reports Sunday, amid fierce fighting in the strategic area near the Iraqi border. A Kurdish-led force announced, meanwhile, that its fighters had captured five foreign jihadists while combating ISIS in eastern Syria. A spokesman for the group, Mustafa Bali, said they included two Americans, two Pakistanis and one Irish citizen. The U.S.-backed force known as the Syrian Democratic Forces are believed to be holding hundreds of ISIS foreign fighters in detention centers in northern Syria, as well as their families in SDF-run camps in the north. Their governments have said they are not willing to take them back. The injuries would be the first known casualties sustained by Western anti-ISIS coalition forces since President Donald Trump announced in late December his intention to pull out some 2,000 U.S. troops in Syria, declaring that ISIS has been defeated. The abrupt decision surprised U.S. allies and angered his own national security advisers who disagree with the claim of ISIS’s defeat. U.S. Defense Secretary Jim Mattis resigned shortly afterward. The Britain-based Syrian Observatory for Human Rights, a group that monitors the Syrian civil war, said in a report Sunday that the ISIS attack occurred the previous day in the village of Shaafa in eastern Deir el-Zour province amid fierce clashes between the Kurdish-led Syrian Democratic Forces, backed by the U.S.-led coalition, and ISIS militants. 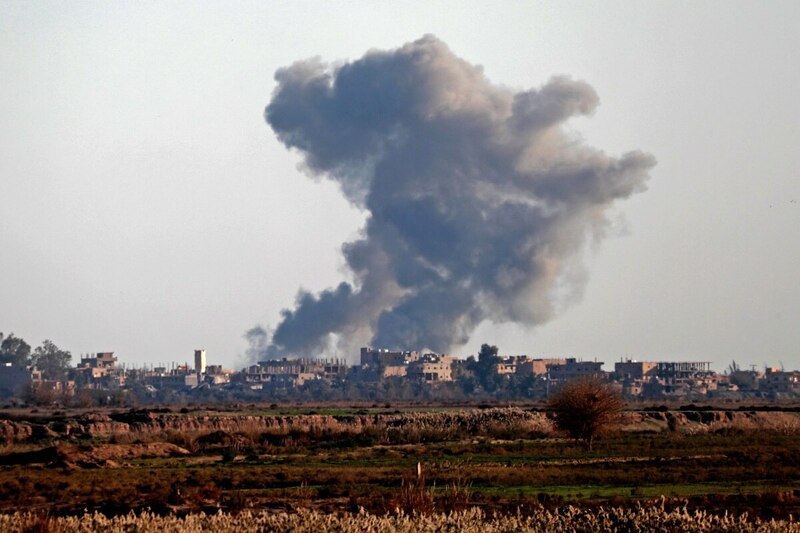 The Syrian Democratic Forces in December captured the last town held by ISIS in Syria, but the militants still hold small pockets of territory in Deir el-Zour province and there are concerns the group would take advantage of an American troop pullout to regroup.